Telford has lots to offer this summer, and we have plenty to keep you and your family occupied! Whether you enjoy long summer walks, dynamic museums, or if you’re a fanatic animal lover, Telford has something for everyone. 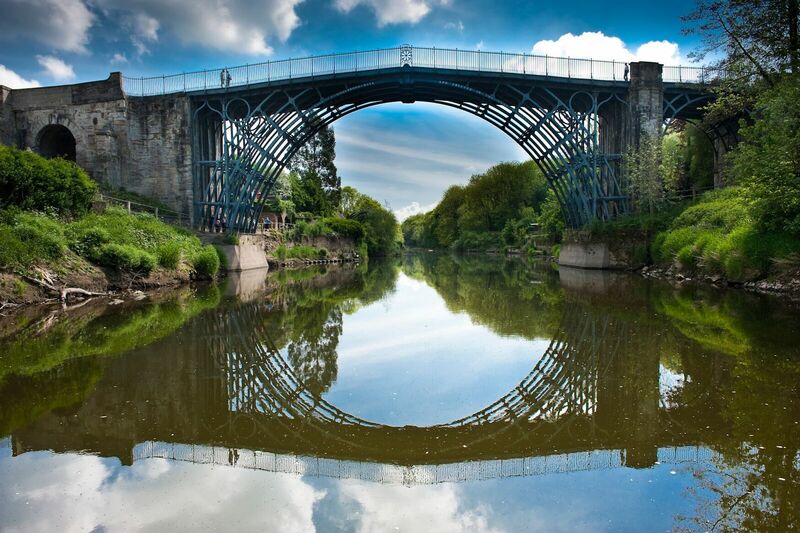 Ironbridge is one of Britain’s most cherished World Heritages sites- with stunning summer views, traditional country pubs, and of course the world famous Ironbridge. One of its main attractions is the 10 interactive museums spread along the valley of the River Severn that can offer an exciting family day out with an educational twist! Located only 10 minutes from Telford Town Centre, this famous West Midlands village is right on your doorstep. Hoo Farm is a family run animal attraction, based only 10 minutes from Telford Town Centre. With 32 acres of Shropshire woodland and multiple animal experiences, including badger watching and zoo keeper experience days, Hoo Farm offers a day of adventure for any animal lover. As one of the leading attractions in the West Midlands, the RAF Cosford Museum is home to 70 large aircraft housed across three Wartime Hangers. Follow the story of the RAF through unique exhibitions, virtual tours and flight simulators, whilst admiring famous stories of wartime Britain. For those family members who love their planes and history, it’s the perfect day out! As one of Telford’s newest attractions, Xscape Now helps you escape reality by solving numerous puzzles and riddles with the help of family and friends. Whether you choose the Baker Street Mystery or Red Planet Panic, your brain cells will be tingling as you attempt to escape the room within the time limit. Only a five minute drive from Telford Town Centre, the mysteries and brainteasers are right round the corner. This quaint Staffordshire farm is home to lots of feathery faces, including two European Eagle Owls called Misty and Texa! This farm offers lots of fun for all the family as you head out on walks across Stafford Castle, while flying and feeding your favourite birds. Jungleland is one of Telford’s most popular adventure play facilities, with multiple activities on site. Whether you fancy a jungle-themed play area, an exciting novelty golf course, Alien Strike tenpin bowling or laser tagging, there is plenty of excitement and adventure to keep the family occupied on those rainy summer days. There are endless opportunities for adventure at Weston Park, with over 1,000 acres of parkland to explore. Not only that, there are several on-site attractions, including a miniature railway, woodland adventure playgrounds, giant outdoor games and woodland walks. Whether you fancy a picnic in the park, or a quiet stroll around the grounds, Weston Park can offer you a glimpse of countryside heaven. Hawkstone Follies is an historic woodland with infinite cliffs, caves, deep woods and fascinating monuments, offering endless opportunities for exploring. With just a short journey from Telford Town Centre, you can easily escape to the country, and enjoy the beautiful views that Hawkstone has to offer. The Wrekin is one of Shropshire’s most popular and best-loved landmarks. Located four miles from Telford, The Wrekin offers spectacular views of Shropshire and on a clear day, you can even see as far as Wales. The climb isn’t as hard as it seems, take your time, or even carry a picnic along with you, as you enjoy the wildlife on your way up. As part of the Ironbridge Gorge Museum Trust, Blists Hill is one of Shropshire’s most popular attractions. This recreated town takes you back to the fascinating years of the Victorian age. Dive into character as you exchange modern money for old- school shilling and pence, observe the curious remedies in the pharmacy, and even explore the town by horse and cart. As there’s no age limit to imagination, Blists Hill is an enjoyable day out for everyone!